One of the questions asked in our session this week was “If Jesus is the Bread of Life, what kind of bread do you think he is?” and “Why?”. Interesting question to ponder, isn’t it? I would probably choose something fresh from the oven that is warm and soft that I can dip into olive oil like a focaccia bread. Or homemade yeast rolls slathered in butter would also be an excellent choice as well for me. These breads represent warmth, love, and community to me and these qualities come to mind when I think of Jesus. What would you choose? In the video, Margaret Feinberg highlighted this passage of scripture that teaches about the symbolism of leaven (or yeast). We learned that leaven symbolized the actions of the Pharisees and the Sadducees and that we need to be astute to the growth of legalism, judgmental-ness, and the need for power in our own lives. The antidote to these actions we learned is Christ’s continual work in us. During our lesson on Day One in Session 3, we explored the social component associated with the eating of bread. We read of the Last Supper between Jesus and his disciples from Matthew 26:26-30. 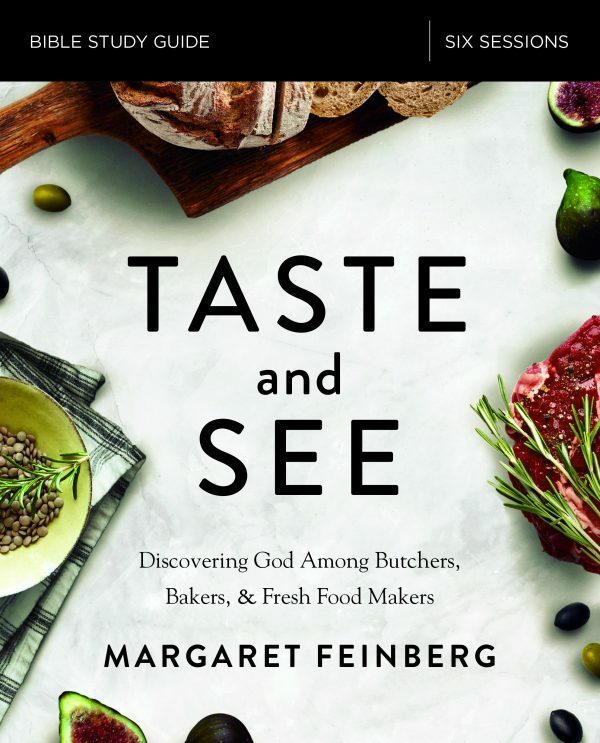 Margaret Feinberg had us visualize and record all that our senses would have experienced if we had been present as participants during the Passover meal of the Last Supper. She shared with us that the “word “companion” is derived from the Latin com meaning “with” and panis meaning “bread.”” We were encouraged in this lesson to be more intentional about sharing bread and meal times with others. On Day Two, we considered the meaning of daily bread in the Lord’s Prayer from Matthew 6:9-13. We also answered questions about our prayer life. Margaret Feinberg stressed that at its heart, this prayer calls us to trust in God. We need to trust that we will have enough and not fear because God will provide for us. We considered areas in our lives where we need to trust Him more. Our lesson on Day Three turned our attention to the Old Testament sacrifices and, in particular, to the grain offering which used fine flour. This same flour was also used when serving guests. Through our cross reference readings, we learned about the costly, sacrificial nature of using this type of flour to prepare the grain offerings. We also read about the daily use of flour. Using all that we learned about the arduous task of bread making and flour, we applied those concepts to our own lives as we considered areas we give or don’t give generously. We evaluated our time, our talents, and our treasures as well as quality versus quantity in relationship to giving. On Day Four, we read from chapter five in the Taste and See companion book and answered questions. We studied the sins of Sodom according to Ezekiel 16:48-50. We were to contemplate if we struggle with the same areas of sin that they did. Our last lesson on Day Five provided four activities from which we could choose. The activities listed were offering to bake bread for a communion service with a group from church, reviewing and reflecting on a fresher understanding of how bread enhanced your understanding of Holy Communion from the lesson, preparing a loaf of bread as an act of prayer and worship by praying during each process of the bread’s preparation, and lastly inviting a friend over to make the matzo recipe located in the back of the study guide. We’re at the halfway mark today! Begin the lessons for Session Four this week. Our focus will be on salt in the Bible.